ESG Kullen acquired the eight-story 1140 North LaSalle Drive for $38M and plans to turn its 250 condos into rental apartments. The deal was brokered by Kiser Group’s Lee Kiser, Michael D’Agostino and Jake Parker. The Kiser team also introduced equity broker Alpha Capital to ESG Kullen, resulting in Harrison Street Capital becoming a partner in the deal. According to state law, buyers seeking deconversion deals need to secure an agreement to sell from 75% of a condo property’s owners. New York-based ESG Kullen has been one of the most active investors hunting for such deals in Chicago. It recently convinced the homeowners association of 1400 North Lake Shore to sell its 391 condo units for $112M, but pulled out of the deal when it could not find an equity partner, according to Crain’s. 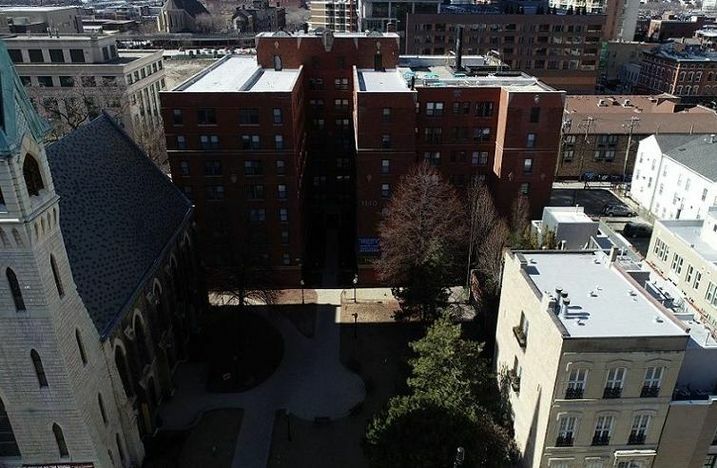 That failed transaction, along with an extended battle over the eventually successful sale of River City at 800 South Wells, illustrates that good deconversion deals are getting tougher to find, even though the rental market remains as lucrative as ever. ESG Kullen’s latest acquisition was originally built in 1924 as a luxury hotel. It was converted into a mix of studio and one-bedroom apartments and in 2006 turned into condominiums. The deconversion process began with an unexpected bid. “After being approached with an unsolicited verbal offer, the board of directors interviewed multifamily brokerage firms to meet our fiduciary responsibility in securing the highest possible offering,” Flats on LaSalle Condominium Association President Jim Bright said. The Kiser team was selected and vetted more than a dozen offers. ESG Kullen’s $38M proposal was approved by more than 85% of the owners, Bright said. “This is a hybrid property, meaning although size and location would be attractive to institutions, the vintage and unit size are more closely associated with the private market,” D’Agostino said. ESG Kullen got the nod not only because of price and terms but also due to its experience with condo deconversions and 1920s construction, D’Agostino added. Converting apartment buildings into condominiums was quite popular in Chicago during the decade or so before the Great Recession. Returns to condo developers were higher than those for apartment owners, but today the reverse is true. “While the price of a condominium may not be attractive to the homeowner, the whole may be greater than the sum of the parts — meaning an apartment investor might pay a lot more for the unit,” Lee Kiser said. More than 20 deconversions closed in Chicago in the last two years, according to a September report from Avison Young, citing Real Capital Analytics data, although the true number is probably higher.